Last week, Samsung announced a new form of removable storage for devices like smartphones, DSLR cameras, action cams, and drones, that put the microSD format to shame. These new cards are built off the UFS 1.0 standard and are at least 5x faster than the microSD cards we all own and use today. 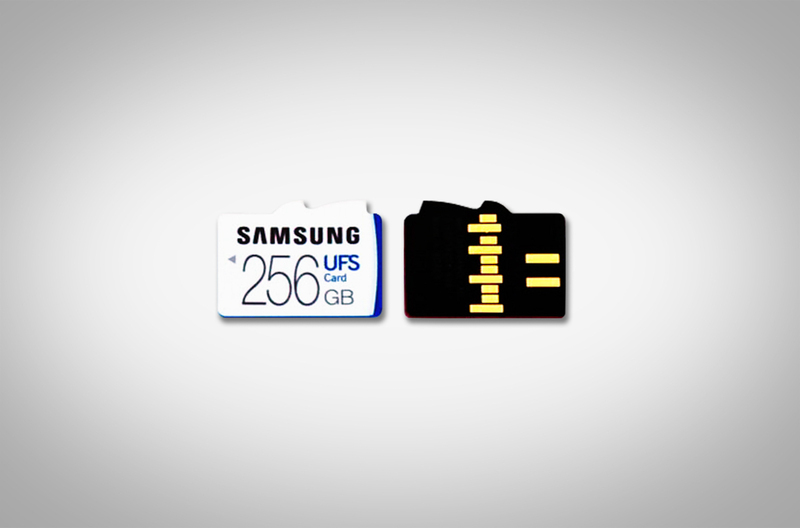 By all means, these UFS cards should help to create the new standard for removable storage. But what does that mean for the microSD card? What does that mean for future devices and storage? Will manufacturers have to choose to support one over the other? Will there be backwards compatibility? Does anything currently on the market support these new cards? So as we sort of expected, the new UFS 1.0 cards will not work with anything currently on the market. The microSD card slot in your device will not work with a UFS card. However, in really good news, Samsung has developed a socket that can support both the new UFS cards and microSD cards. In other words, your stack of microSD cards will not soon be obsolete – you’ll still be able to use them, even in devices that support UFS cards. With that said, this is obviously new tech and so as Samsung notes in their comment to us, this new socket needs to be adopted by others. They are already working with others, though, “for the next-generation” set of devices. That could (and we hope it does) mean that the Galaxy Note 7 will be one of the first on the planet to support both. The timing certainly seems right, with the announcement of those cards happening last week and the Note 7 largely thought to be showing up some time in August. After that, it’s anyone’s guess as to when other manufacturers could adopt this Samsung-made socket. Moto G4 and Moto G4 Plus Unboxing and Tour!